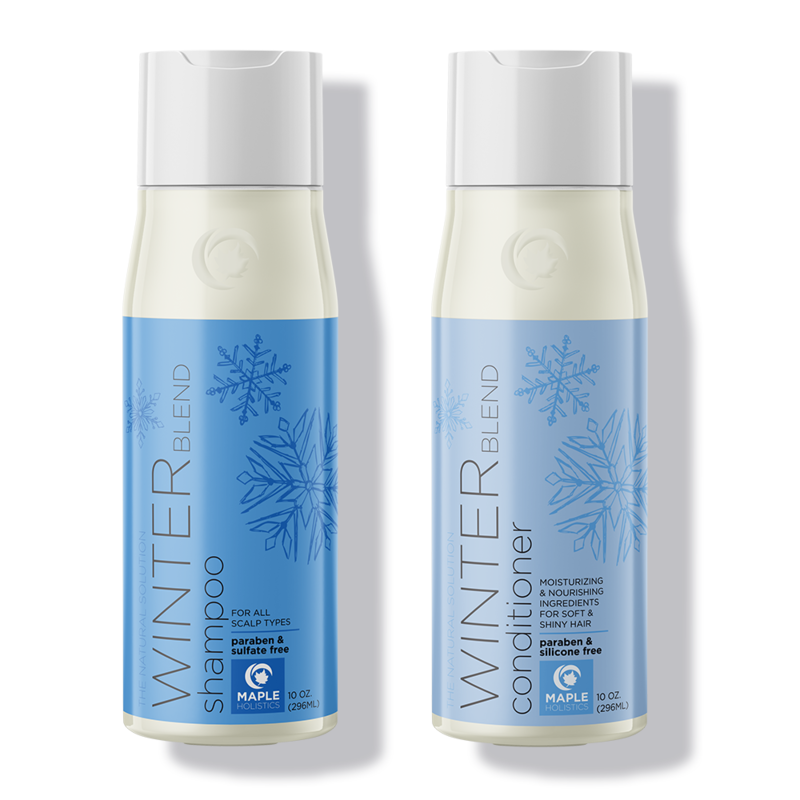 Let the power of mint revive your lackluster locks with our winter blend shampoo and conditioner set. 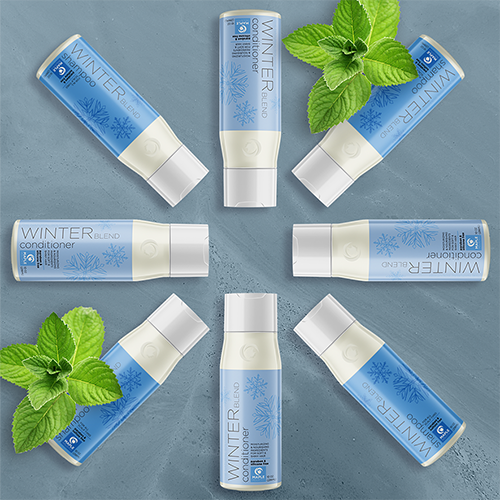 Invigorate and revitalize your hair and senses with cooling spearmint mint, bergamot mint, peppermint, wild mint, and eucalyptus mint which soothe scalp dandruff, stimulate circulation and promote hair growth. 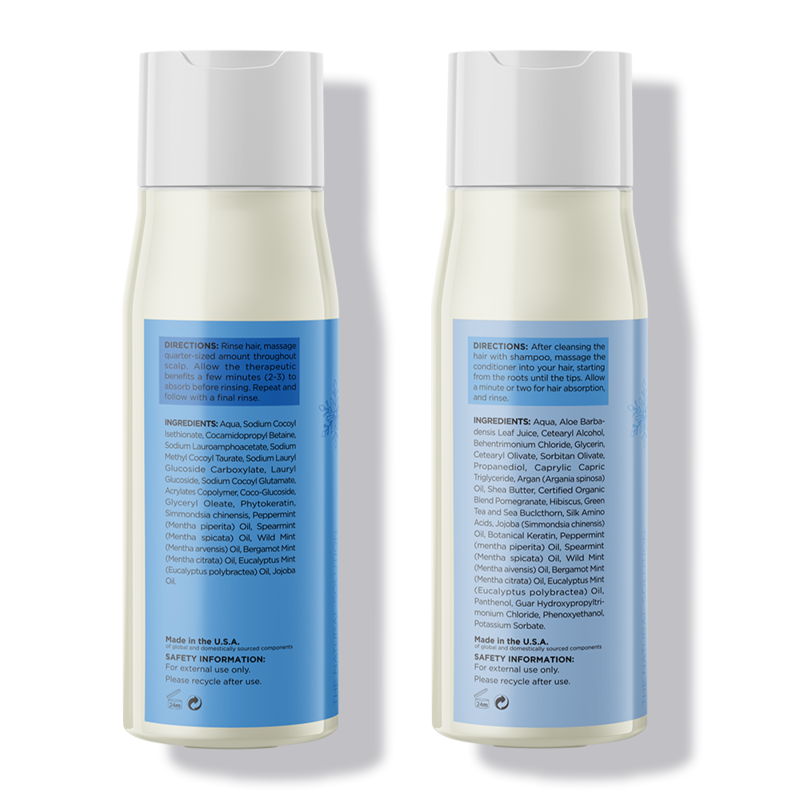 The shampoo deep cleans to reveal super refreshed hair. 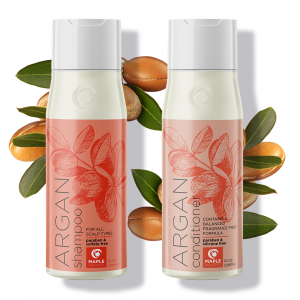 The conditioner adds moisture and nutrients to strengthen, soften, and add body. 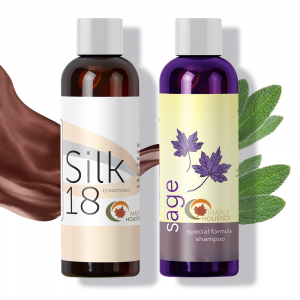 Our shampoo and conditioner are sulfate, paraben, and silicone-free making it great for all hair types, color treated hair, and sensitive skin. Shampoo: Aqua, Jojoba Oil, Botanical Keratin, Peppermint Oil, Spearmint Oil, Wild Mint Oil, Bergamot Mint Oil, Eucalyptus Mint Oil. Conditioner: Water, Aloe Leaf Juice, Argan Oil, Shea Butter, Certified Organic Pomegranate, Hibiscus, Green Tea, Sea Buckthorn, Silk Amino Acids, Jojoba Oil, Botanical Keratin, Peppermint Oil, Spearmint Oil, Wild Mint Oil, Bergamot Mint Oil, Eucalyptus Mint Oil. First off, I love the invigorating, fresh smell and feeling this gives my hair and head. As a man with thin hair … and hair loss, this has made it become more voluminous and I shed less. It has also helped with dry scalp issues. It really is the best product I have tried and am thankful to have found it. I have had issues trying to find the best shampoo and conditioner for my long, wavy hair that is cruelty-free and vegan. When I found this company on Amazon, I ordered this for me and the tea tree set for my boyfriend. Maple Holistics is doing it right! Thank you! I absolutely LOVE this Winter Blend Set! The fresh minty smell is fantastic and a little goes a long way! I have this in my guest bathroom and everyone just loves it! It’s a must have, very uplifting! 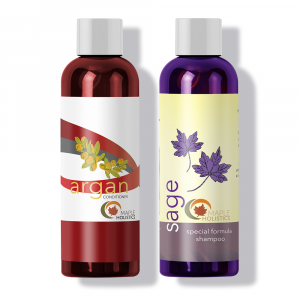 I have extremely sensitive skin and conditions that require me to use more natural products. I tried to not use shampoo but I have extremely thick and long hair so that did not turn out well. After searching for products that were actually natural, I found these and they have been a game changer. 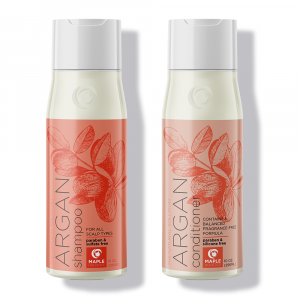 The product lasts me over a month and makes my hair smooth and smell wonderful! Fantastic product! 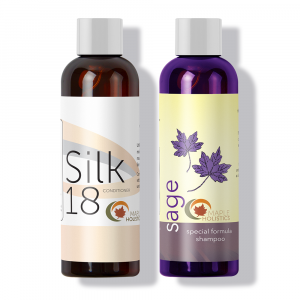 I’ve tried multiple organic hair products and this is by far the best shampoo and conditioner set! The ingredients are truly natural (a lot of products make this claim, but actually have a lot of synthetic ingredients). 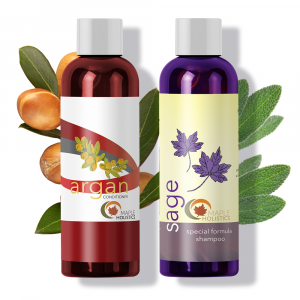 It leaves my hair silky smooth and the scent is amazing! 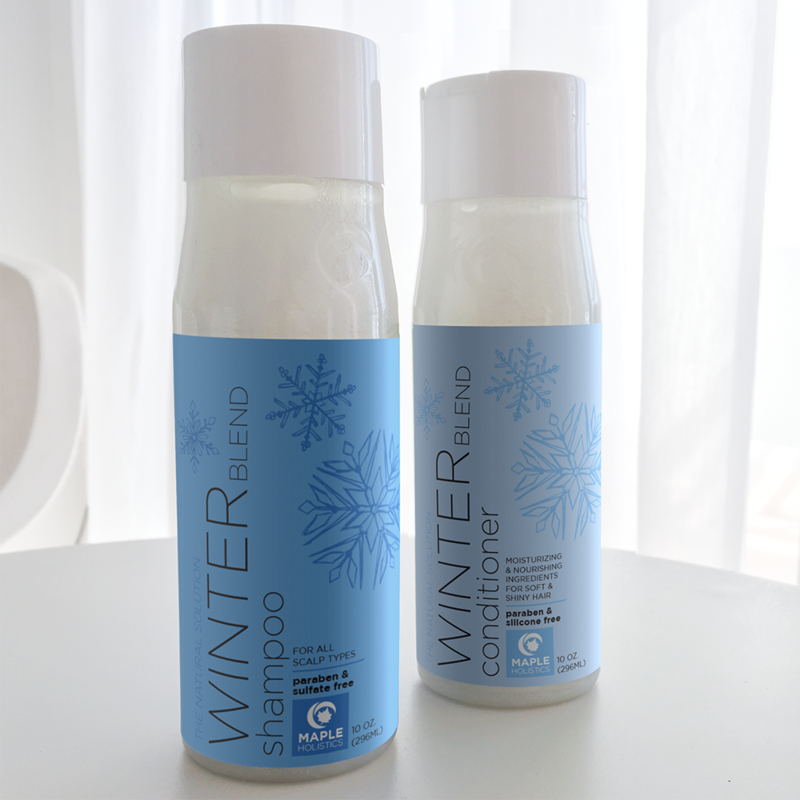 It’s a pleasure to wash and condition my hair and I love the soothing smell it creates while I shower.